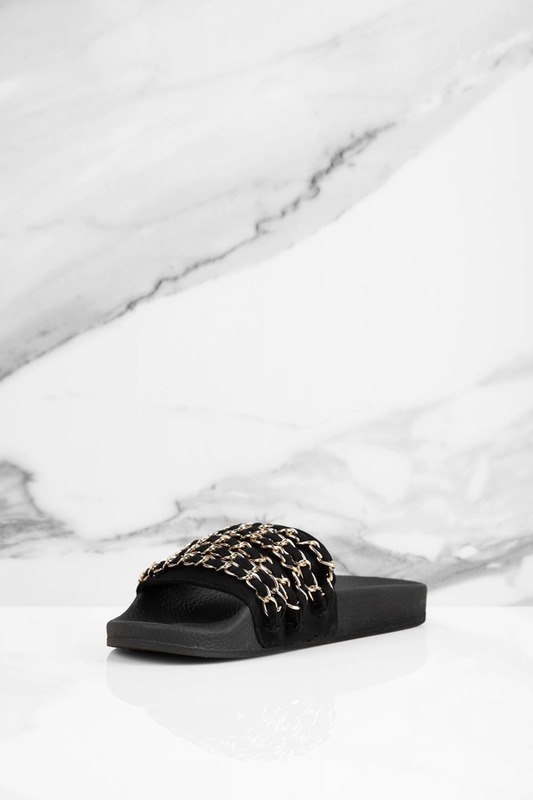 Check out Tobi's Farah Chain Slides The slide trend isn't going anywhere, so slip your feet into these cool slides. 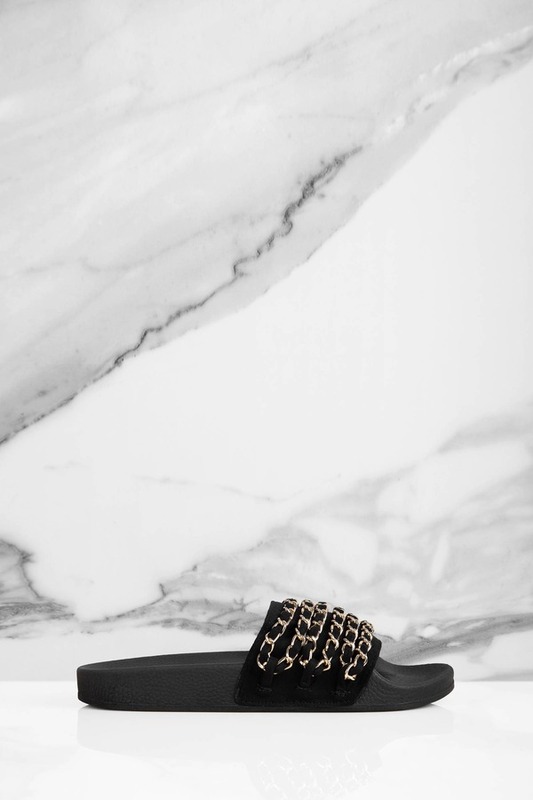 With a moulded footbed and trend-led gold chain detail on the upper, the Black Farah Chain Slides add some shine to weekend dressing. Go ahead and pair these chain slides with socks; we won't judge. The slide trend isn't going anywhere, so slip your feet into these cool slides. With a moulded footbed and trend-led gold chain detail on the upper, the Black Farah Chain Slides add some shine to weekend dressing. Go ahead and pair these chain slides with socks; we won't judge.